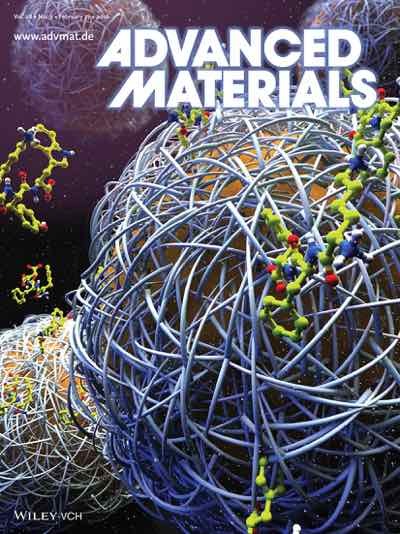 Gary’s work on the discovery of a new class of tripeptide emulsifiers is featured on the front cover of Advanced Materials and has received write-ups in several online science sites. The work has been done in collaboration with the Ulijn group and Macphie of Glenbervie (a food ingredients company). Emulsions, the stabilized mixtures of oil and water are the basis of many food and personal care products such as spreads, creams, and pastes. Each product has different requirements and there is a need for emulsifiers that can be tuned, or tailored but are also biocompatible and biodegradable. Now, Dr. Rein V. Ulijn is among the scientists from the City University of New York’s Advanced Science Research Center (ASRC) and the University of Strathclyde who discovered a new way to create emulsions with tunable properties, based on very simple biological molecules, as published as the cover article in the journal Advanced Materials. Ulijn–Director of the ASRC’s Nanoscience Initiative–and Strathclyde’s Dr. Tell Tuttle used a combination of experiments and simulations to show that dramatically variable oil-in-water emulsions may be produced from tripeptides. The research group showed the potential to form emulsions with tunable stability by mixing oil, water and designed peptides composed of specific sequences of just three amino acids–the building blocks of proteins which are the structural and functional units of all living systems. Because there are nearly 8,000 possible sequences of amino acids in tripeptides, the team used both experimental and computational methods to narrow down the particular combination of amino acids that would form the appropriate structures. With this research, the team is investigating possible applications in food, cosmetics and personal care products. Paul McKnight, Senior Research and Development manager at Macphie–a Scotland-based food ingredient manufacturer–said the research will have a significant impact on its manufacturing techniques. Welcome to our new group members! We have a PhD Opportunity!